What better way to start the new year than an early morning stroll down to the cliffs and gaze out over the Mediterranean Sea? It’s a pleasant 12 degrees centigrade, a few white clouds punctuate a forget-me-not blue sky and there is not a breath of wind. Pausing only to wish our next door neighbour Manolis a good year, we walk on down the hill passing single storey, flat roofed houses with orange and lemon trees fruiting in their gardens, greenhouses bordered with artichokes and through groves of fruit laden olive trees. Crete has often been called the bread basket of Greece and Ferma is a working agricultural village growing not only olives but tomatoes, sweet peppers, cucumbers and much else besides. We emerge onto the cliff path with our view of the sea at first obscured by woody bushes of juniper and lentisc much favoured by small passerine birds. 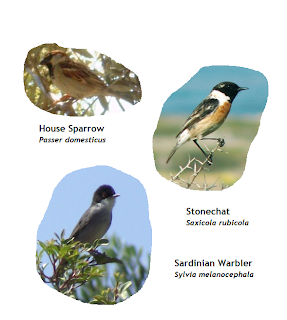 This morning I see that we have house sparrows in abundance as well as the occasional stonechat and Sardinian warbler. Apart from providing a food source for the birds juniper berries are also used by ourselves to flavour gin and the lentisc bush, also known as mastic, provides us with a resin which puts the “chew” in chewing gum (so if you’re chewing gum as you read this then this is the bush that you may well be masticating at this moment). Looking away from the birds and berries for a moment and casting a glance down at the track I spot a couple of dark green plants making their first appearance. These puzzled me for years for I never once saw them in flower. The reason being, as I found out by marking where they appeared and continuing to observe them, is that the leaves appear in winter, die down in the spring and the flowers start to appear in late summer so you never see the leaves and flowers together. The plant is in fact a highly toxic plant called a Sea Squill. And here close by are some holes in the ground surrounded by little mounds of earth. Closer examination reveals that this is the work of a fascinating little creature called the Harvester Ant. Beneath the ground they are constructing numerous tunnels leading to large granaries in which they will store quantities of seeds later in the year. These will provide food for the next generation but, as not all of the seeds will be eaten, the ants provide the method of seed dispersal for the plant. 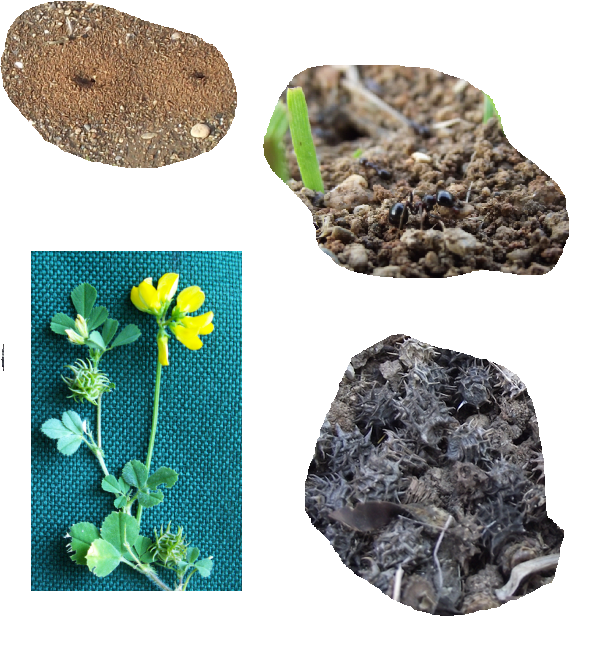 These particular ants here, as I know from experience, have a particular preference for the spiny seeds of the medick, so come the spring this area will be a carpet of tiny golden yellow flowers. This is just one of the many connections in nature which I find so captivating and which makes the living world such a fascinating subject to study. But that’s enough time on my knees for now so let us sit on the bench and watch the sun coming up over the Mediterranean Sea. Do you know that if you sail south from here then your next landfall would be the North African coast?